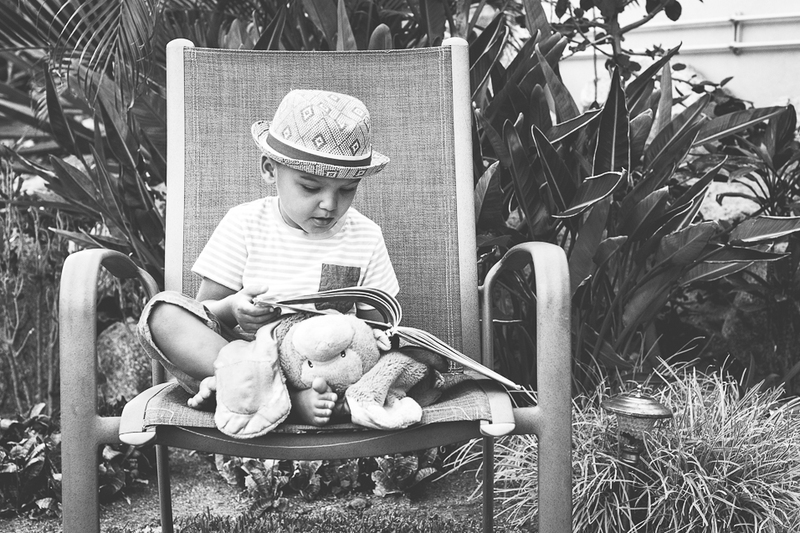 ***I am so thankful to be a part of this blog circle "Letters to our Sons" with so many amazing photographers and moms. In honor of our love for our little boys, we are posting a monthly image(s) along with a corresponding, heartfelt letter. After reading my post, please click HERE to continue around the circle, starting with the very talented Jennifer Nichols James. I think it's safe to say that Monkey is your best friend. You met him when you were 10 months old and he soon became the one thing you took along with you everywhere. 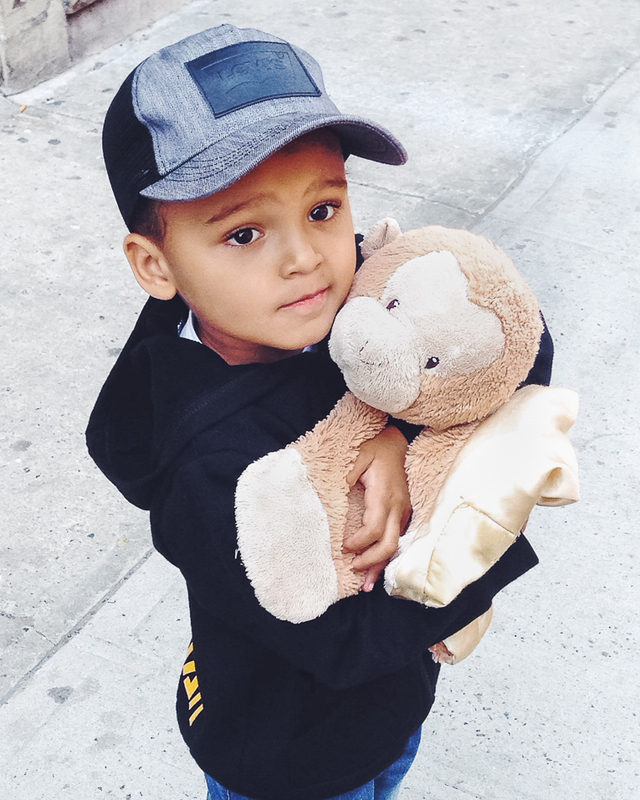 During your short three years on this earth so far, you have reached for Monkey when feeling playful to dance with and toss around, to hide behind when feeling shy, to brush against your face when sleepy, and of course, collect your tears when feeling sad. I have countless memories of you curled up on the sofa, in your bed, and before that in your crib, drinking milk and cuddling with Monkey. He was there with you when you started teetering upright on your two legs, and a comfort to you when you inevitably tumbled to the ground. He rode with you on your first plane ride to Southern California when you were 13 months old and has since traveled with you by plane, train and car to places like Pittsburgh, Chicago, and Central America. 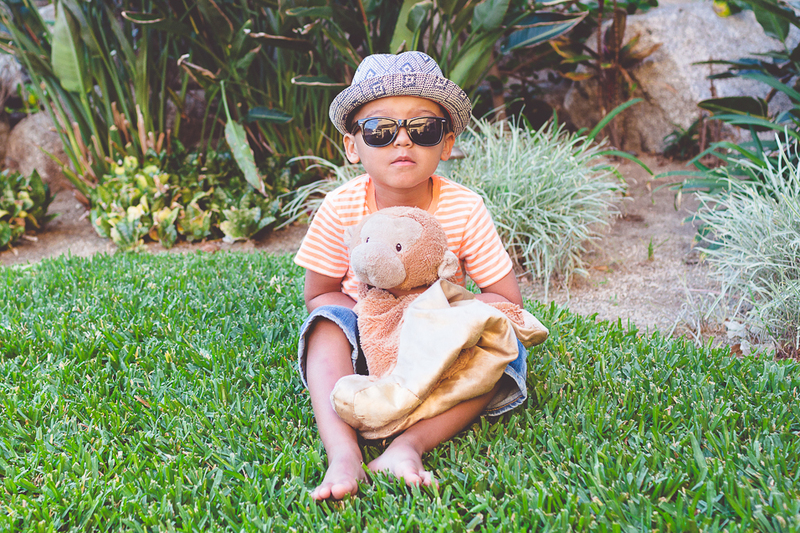 With so many photos of you with Monkey in your clutches, wide awake or slumped over in your car seat, there is no denying he is your best buddy. It's no wonder that you absolutely WILL NOT go to sleep without him. When you were younger, if Monkey was looking tattered and needed cleaning, I would have to sneak him off to the laundromat for a "bath", crossing my fingers that you wouldn't need him until he was finished drying. As you got a little older, we would make a field trip out of taking Monkey to the laundromat, watching him spin around in the soapy suds, coming back 20 minutes later to put his sopping wet furriness into the dryer to "get warm". In a confessional moment, Monkey you have today is actually your second Monkey. The first one had become a rag of holes from which stuffing was steadily coming out, deflating over time any semblance of its former primate self. It was such a relief when you received Monkey #2 that you never knew the difference. In your eyes he had just gotten the best bath of his life. Phew! When you had your first real heavy duty 24-hour fever and could only lie around on the sofa all day - who was there? Monkey of course. He also went with you every day of your first year of preschool, the perfect companion during a time of great transition. Teacher Rachel designated a special basket in the classroom for monkey to sleep in until circle time when you would retrieve him to sing songs and listen to stories with your new friends. After you turned three and got a little, shall we say, more rowdy? 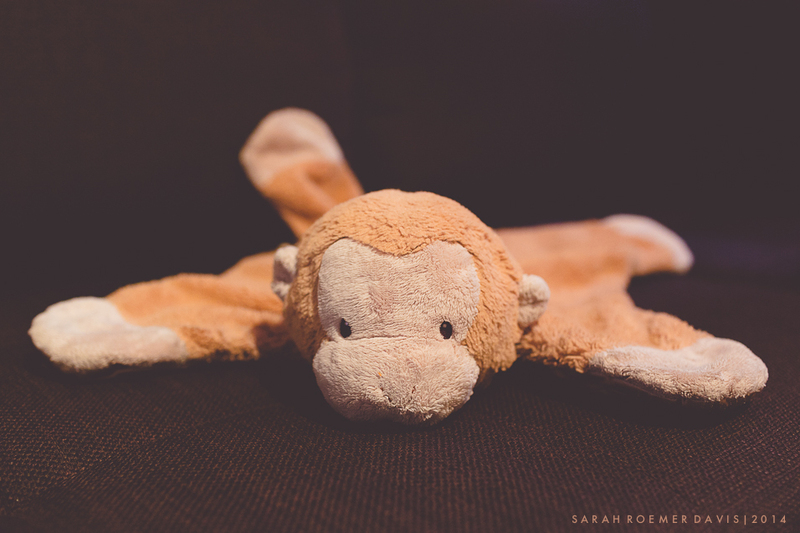 energetic?… you started an incessant pastime of throwing Monkey around the house. It actually drives Daddy and me crazy. You'll throw him into the air, narrowly missing a piece of furniture or knocking things off the table or pictures off the wall as you dive to catch him. In actuality I suppose you are just playing catch with your best friend, but still it's a bit wearing on your dear mother and father. Not for your baby brother though. He loves when you toss Monkey high in the air, squealing in delight as he falls from the sky into your embrace. Ahhhh. This past week New York City has had some gorgeous spring days and whenever we've gone out to enjoy them, you've told me that Monkey wants to come too. I say that's fine but that you are responsible for him. You oblige and carry him throughout the day with love and care, telling me he's "magical" and always making sure his furry paws don't drag on the ground. I love you very much son and your beautiful friendship with Monkey.